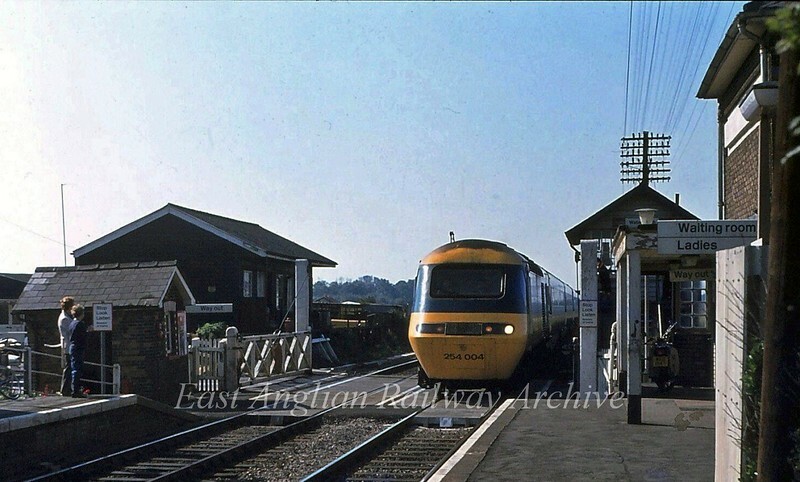 Waterbeach circa 1981 during an East Coast Main Line diversion. The image shows the crossing keepers hut and the goods shed ? These along with the signal box, manual gates and station house have now disappeared.